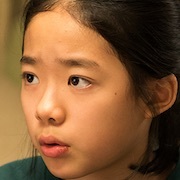 Kyung-Un (Lee Jae-In) is 14-year-old girl. At her father’s funeral, she meets her uncle Jae-Min (Um Tae-Goo) for the first time. Jae-Min is a conman. He even takes Kyung-Un’s insurance money for her father’s death. When Kyung-Un learns what her uncle did, she also learns that he doesn’t have the money anymore. A loan shark took the money because of debt Jae-Min owes. To get her money back, Jae-Min agrees to take part in Kyung-Un’s fraud scheme targeting a pharmacist (Seo Jung-Yeon).